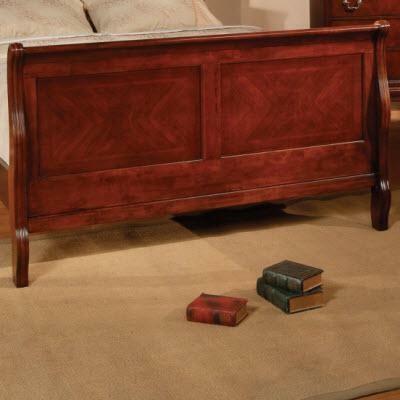 Bed rails, part of the Augustus 8-pieces bedroom set. 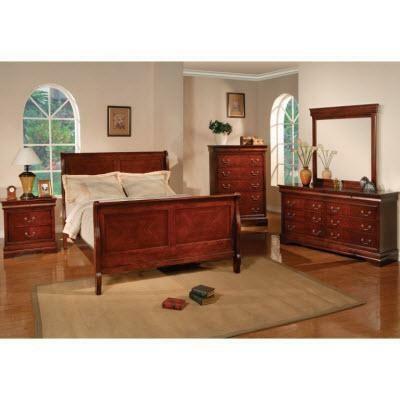 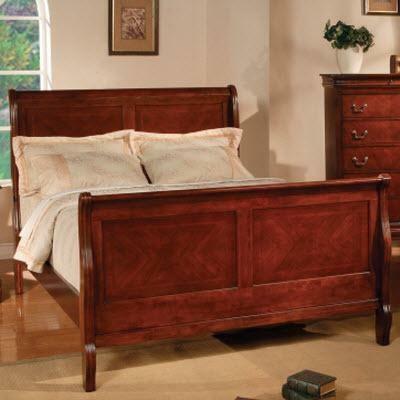 Available in two wooden colors; Cherry or Oak, only comes in queen-size. 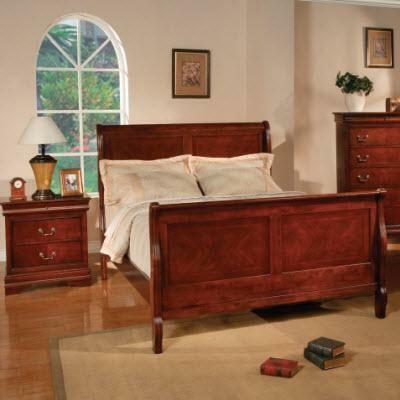 Classic panels, plank details and natural graining and stippling combine for timeless charm in this beautiful bedroom set. 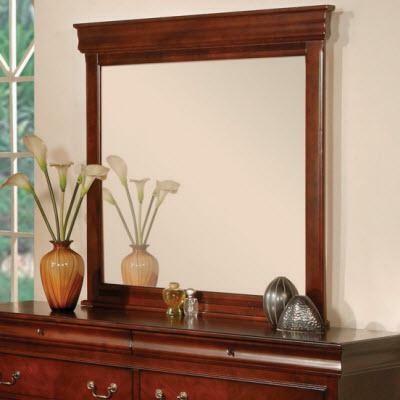 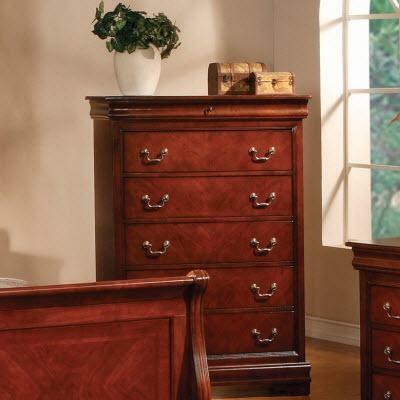 Done in a deep-antiqued finish, the custom hand-cast hardware adds distinctive flair and elegance to any bedroom. 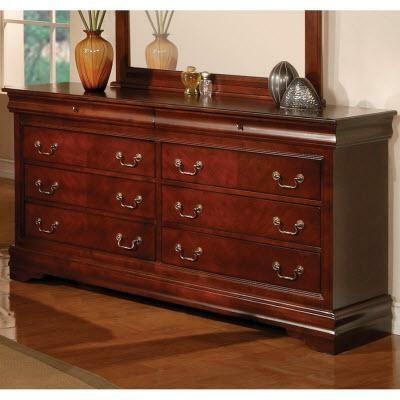 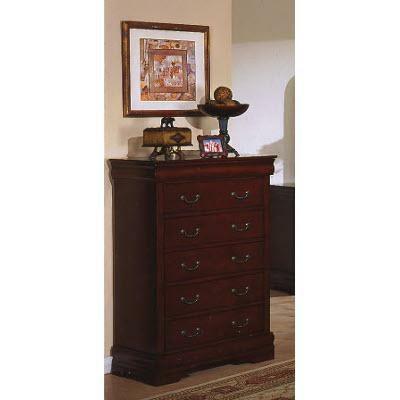 5 drawer chest from the Louise Phillip Collection. 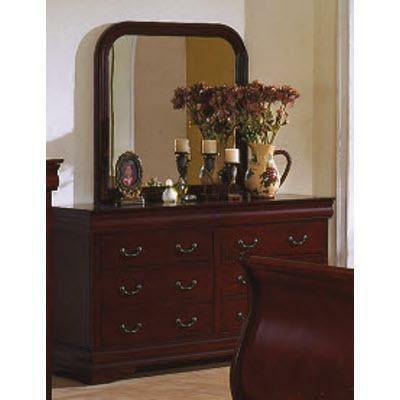 6 drawer dresser from the Louise Phillip collection. 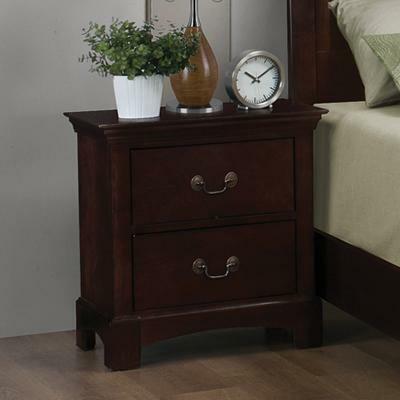 The Jacqueline nightstand features clean, structured lines in a sophisticated dark cherry. 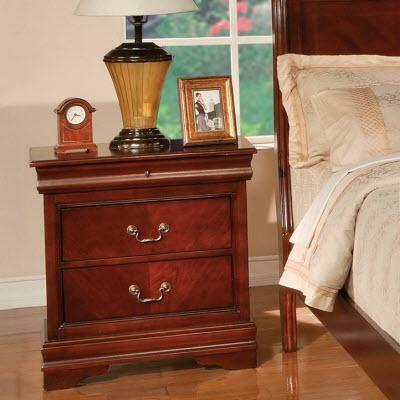 With polished silver hardware this nightstand is sure to bring the comfort of home to any bedroom.